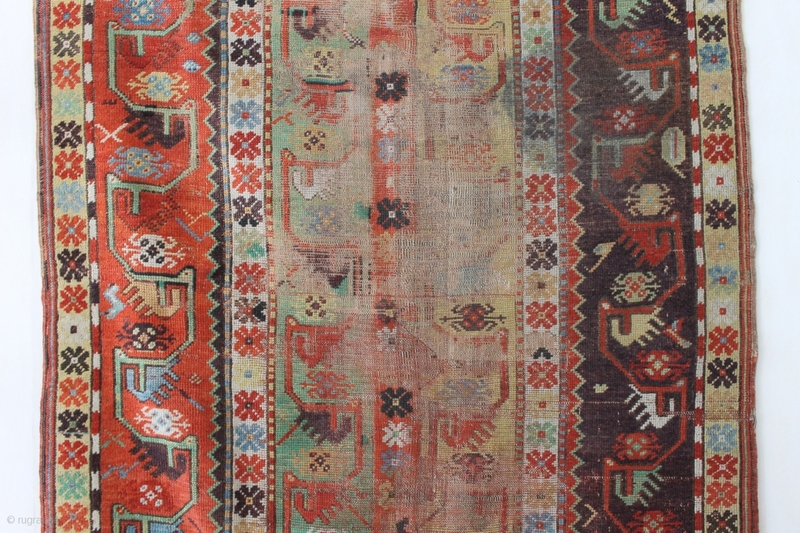 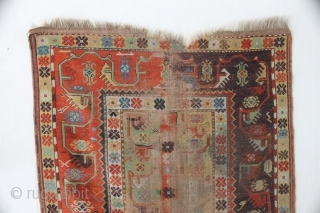 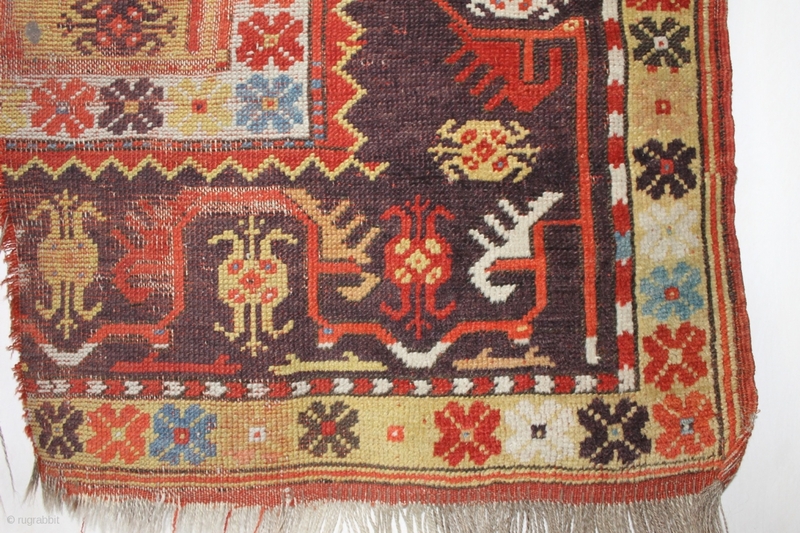 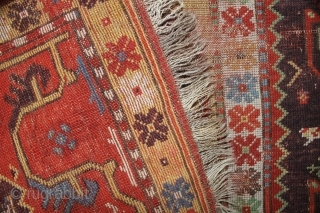 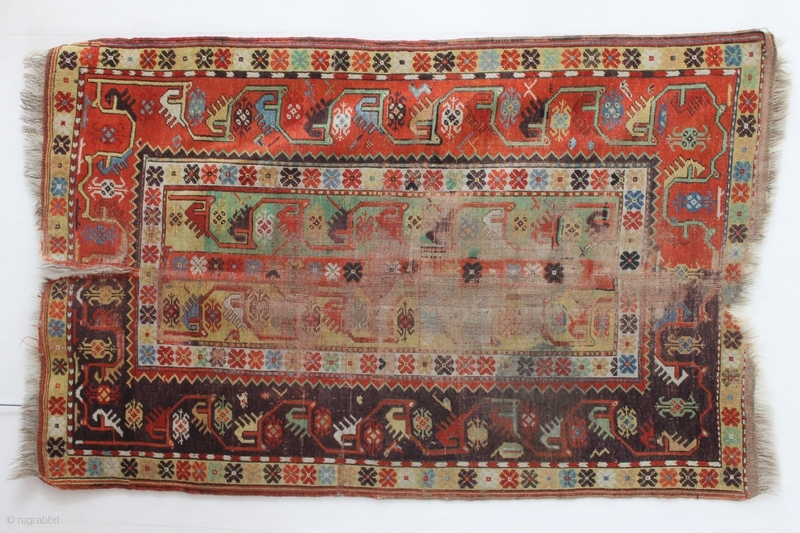 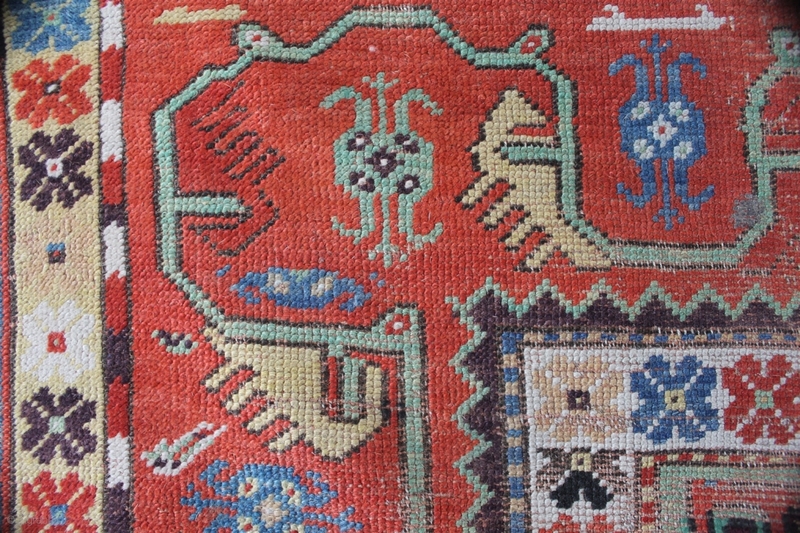 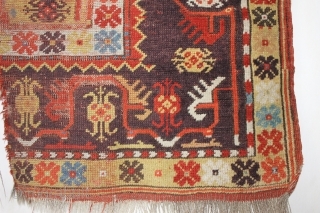 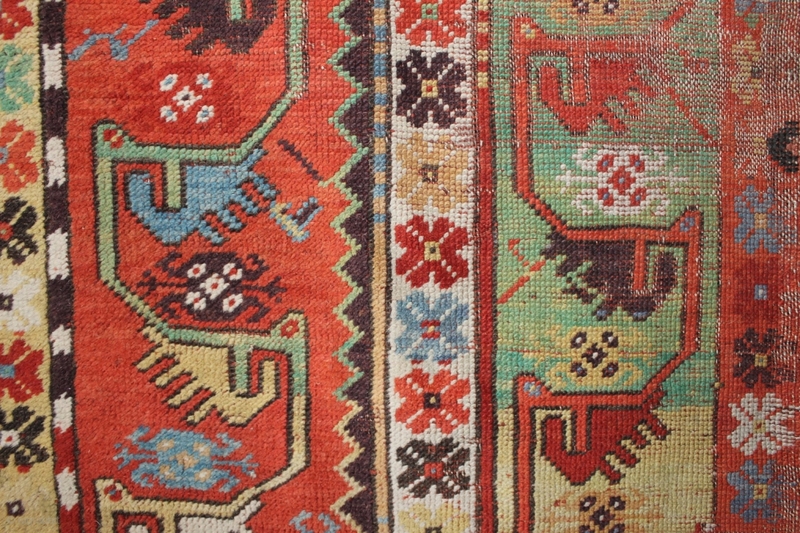 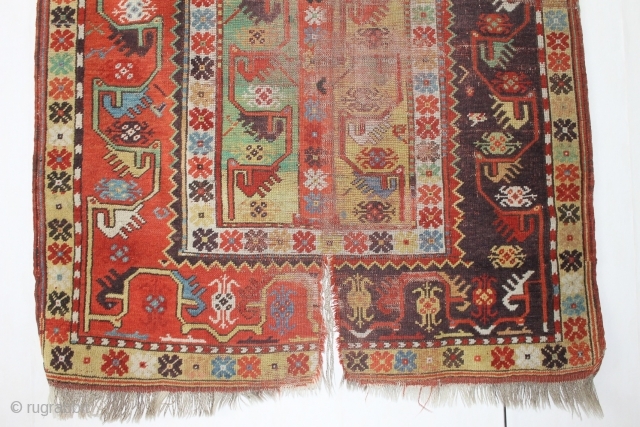 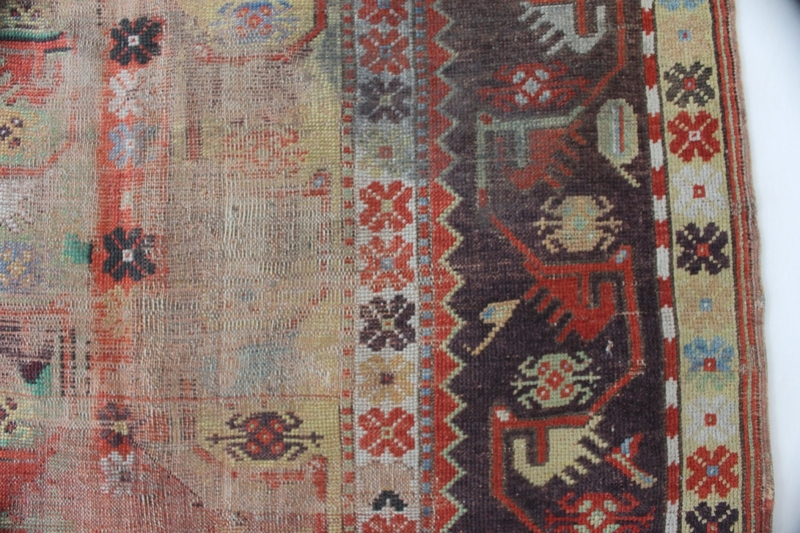 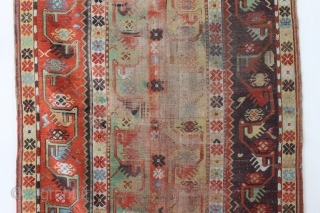 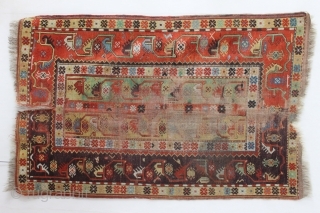 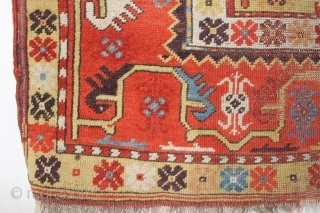 Antique Melas rug, 155x99 cm. 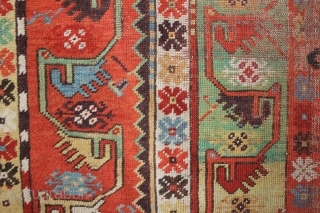 good colours and a very nice old looking border. 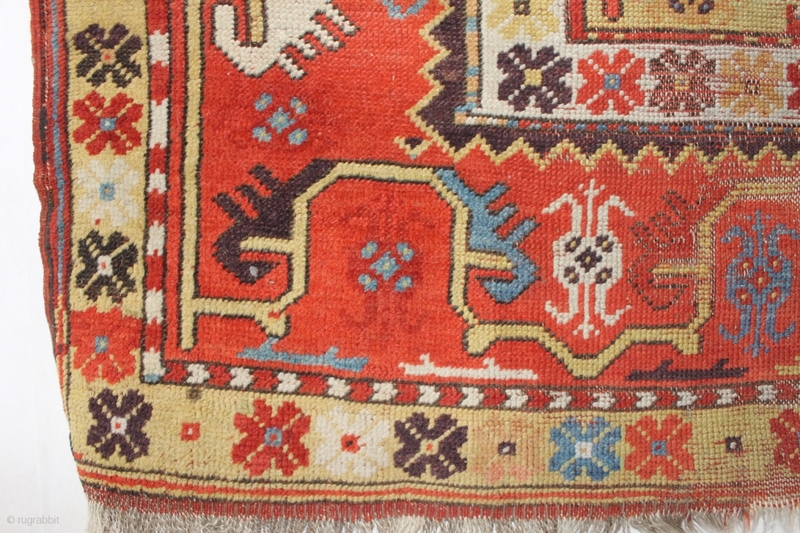 a lot of wear in the center, a dark spot and a 20 cm. long slit at the bottom.